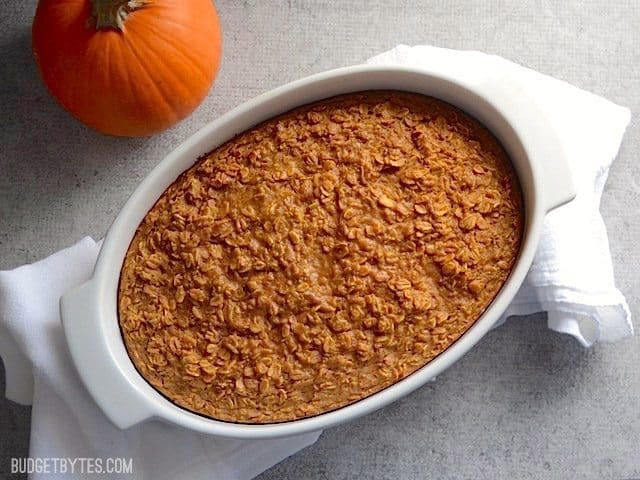 My kids love pumpkin pie but don’t like the texture of oatmeal. If I ground the oats into a flour or used quick oats, would I need to use more or less than the amount listed? 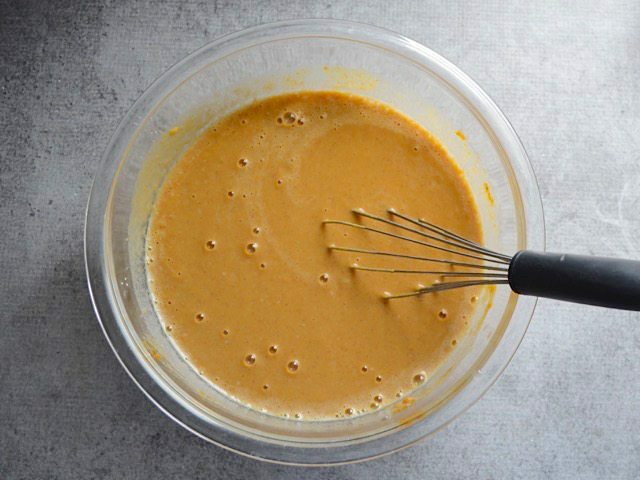 Would the consistency be more like pumpkin pie custard? 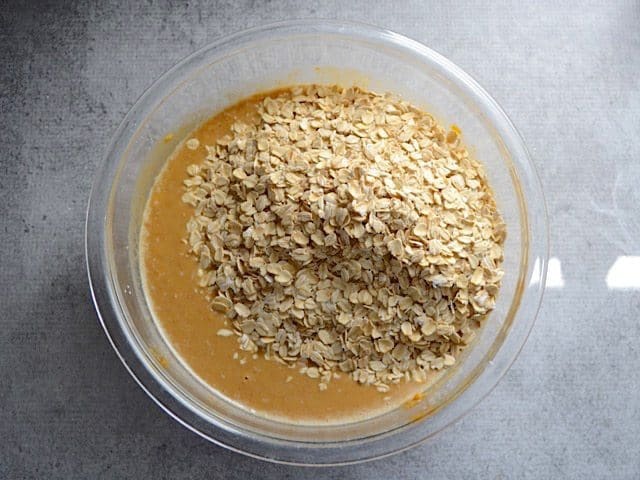 Or do the rolled oats become soft enough that they blend in the custard well? Thanks!! Hmm, unfortunately that’s really hard to guess. I’d have to try it to see how it changes things or how much you’d need. Delicious!! I have made this many times with many substitutions – it’s so versatile. I’ve used butternut squash in place of pumpkin, stevia or maple syrup in place of brown sugar, and several alternative milks. I’ve also thrown it together the night before and baked it in the morning and it’s great that way too! 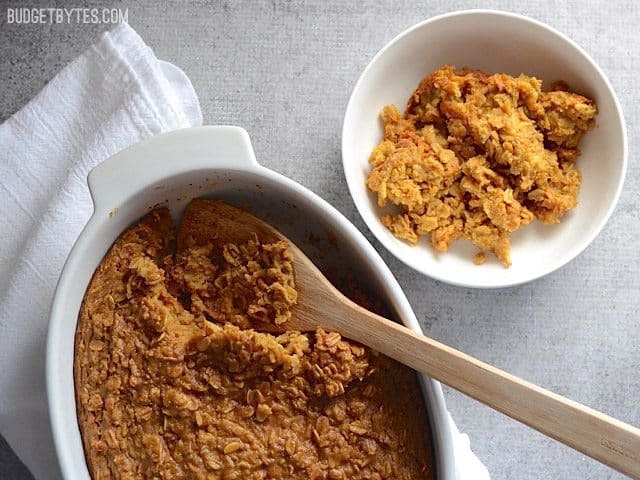 It’s a yummy way to sneak veggies in as well! I subbed flax eggs and soy milk to make this vegan, it was awesome! Have this in the oven right now. 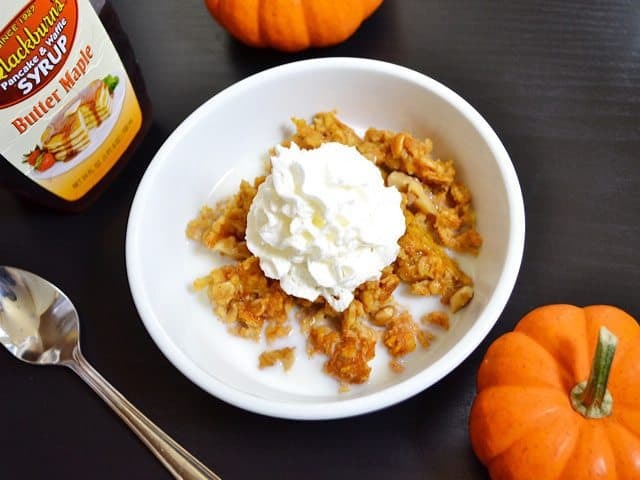 I love baked oatmeal for quick breakfast and had some purée to use up so this will be great. Thanks for the recipe! Just ate some of this out of the oven– so good! I made a 1/2 recipe and baked it for about 25 minutes and it was perfect. I used reduced sugar vanilla almond milk (what I had on-hand) and also a bit of shredded carrot from my fridge that I’m trying to use up. I don’t love carrots on their own, so this recipe was a great place to hide them. Do you think this recipe could be made in the Crockpot? If so, any idea about cook temperature and time? Hmm, I’m not sure, honestly. I’ve never tried to bake something like this in a slow cooker. There is a big difference between the two cooking methods, though. The oven is dry air and allows for a lot of evaporation, whereas slow cookers are a wet heat cooking environment, so that will likely affect the texture of the finished dish. I am going to try making this for me and my 9 month old. 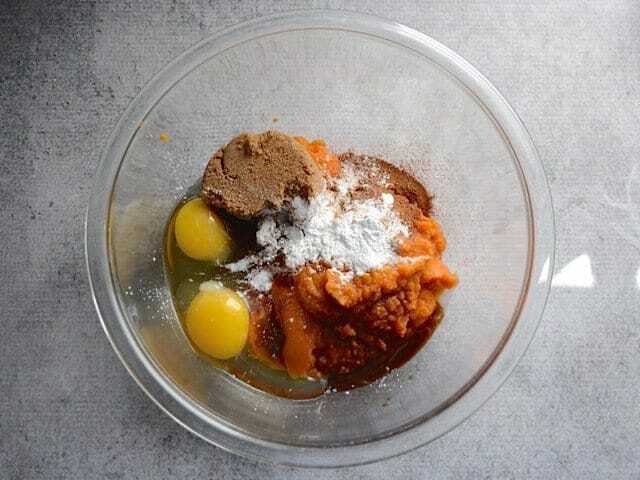 Do you think replacing the 1/2 cup of brown sugar with a banana would make it sweet enough? Hmm, it’s hard to say if it would be sweet *enough* but I definitely don’t think they will be of an equal sweetness. Also, keep in mind that the mashed banana will add quite a bit of moisture to the oatmeal and the final product will likely be a bit softer and mushier. 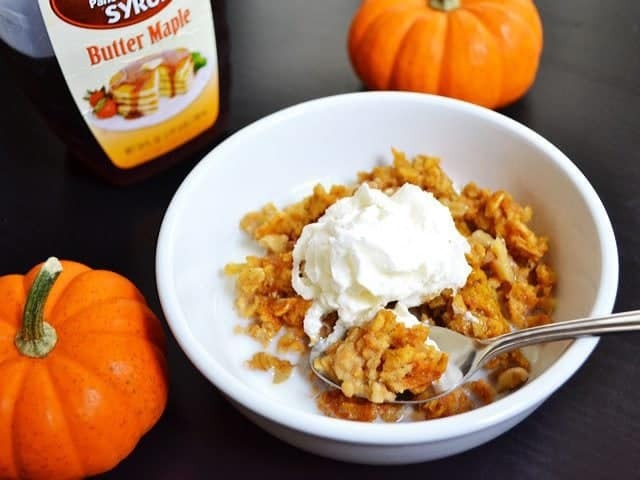 I always use maple syrup or honey in these recipes. Adds great flavor and it more nutritious. A little more expensive but I think it’s worth it. Do you sub the maple syrup or honey in equal amounts to what the sugar would be? 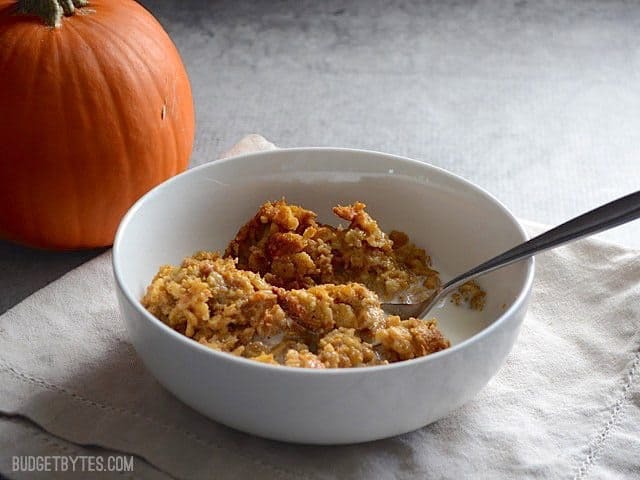 Could you use steel cut oats for this? No, unfortunately steel cut requires a lot more moisture and a much longer cooking time, so it won’t work the same. Made these in muffin tins so they could be frozen in servings. 350 for 25 minutes was perfect for that. I made this today for brunch and loved it!!! 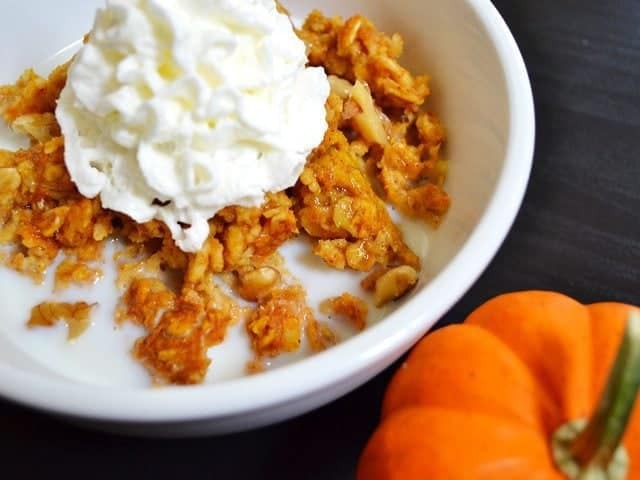 I added the 1/2 cup plain Greek yogurt you suggested and I used unsweetened coconut milk. It was delish topped with maple syrup. Definitely a keeper. I love, love, love this recipe. I’ve made it countless times, and I like it with double the amount of pumpkin pie spice plus a sprinkle of chopped pecans on top. 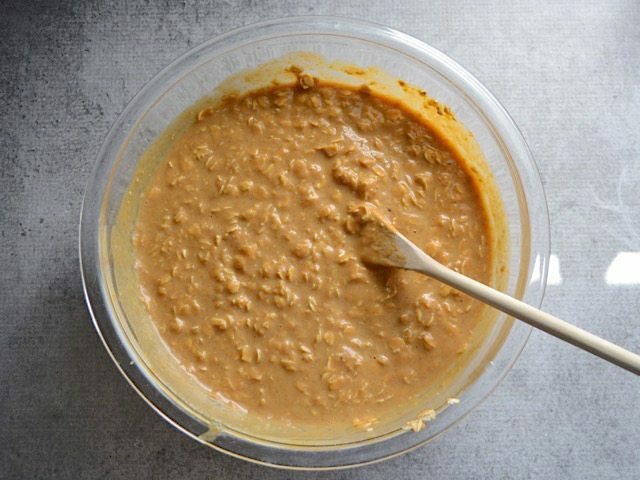 The last two times, I made it using the giant bag of “quick cooking” steel cut oatmeal I bought at Costco – also good! I cut the amount of oats in half, and the first time I baked it right after mixing everything. The second time I let the mix sit overnight in the fridge, then baked in the morning. The baking time took about 10 minutes longer in my oven. Both ways were delicious and slightly different. The baking-right-away version was more nutty in texture, and the oats didn’t swell up as much. For the overnight version, it was still nuttier in texture than the regular recipe, but slightly less nutty than the baked-right-away version. I think both steel cut versions had slightly more pumpkin custard than the regular oat version. 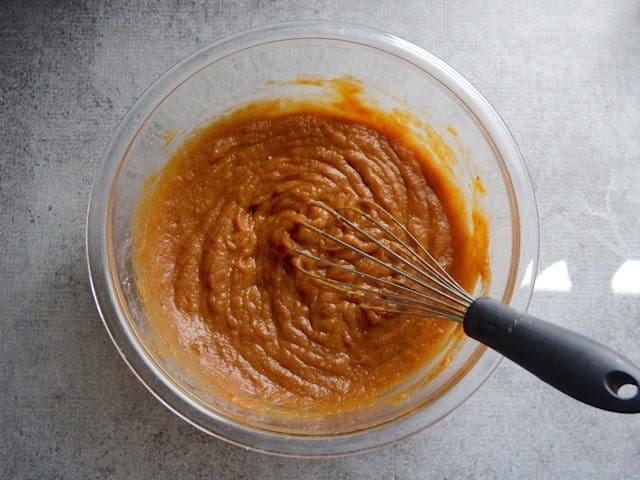 Pumpkin pie filling is also sweetened, so keep that in mind. 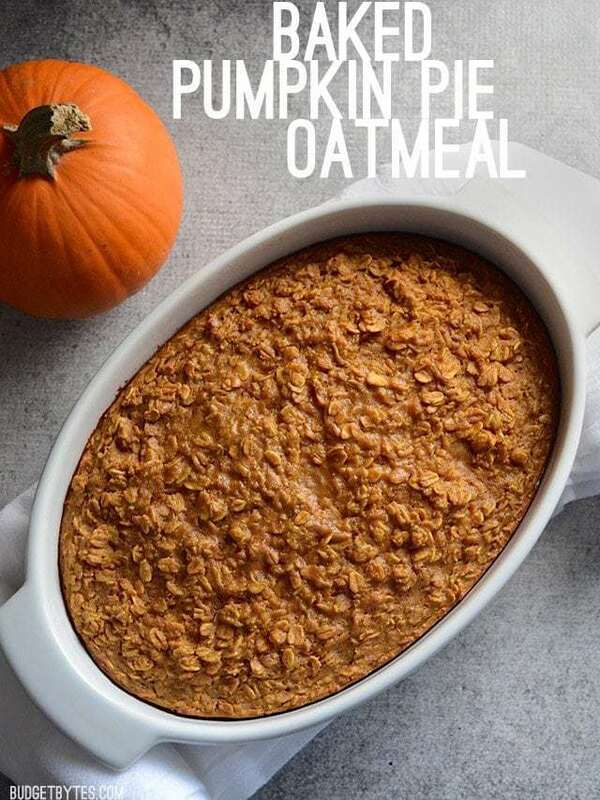 It might have other ingredients as well, like thickeners, but I think it would still “work” without messing up the texture of the baked oatmeal. How long will this keep without being refrigerated? It needs to be stored in the refrigerator. Like other foods that need refrigeration, you don’t want it to stay at room temperature longer than two hours. Can this be mixed up the night before, refrigerated in baked, and then baked in the morning? 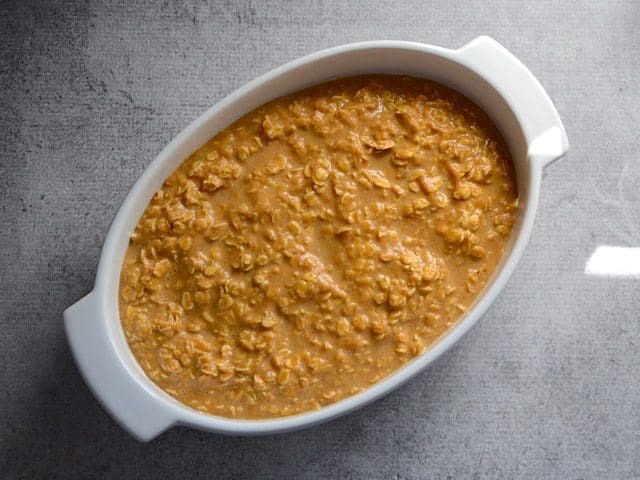 I’ve never tried it that way, but the only issues I can foresee might be that the texture will be slightly more mushy since the oats have all night to absorb the moisture and you may need to bake a little longer since it will be chilled going into the oven. Very very good! 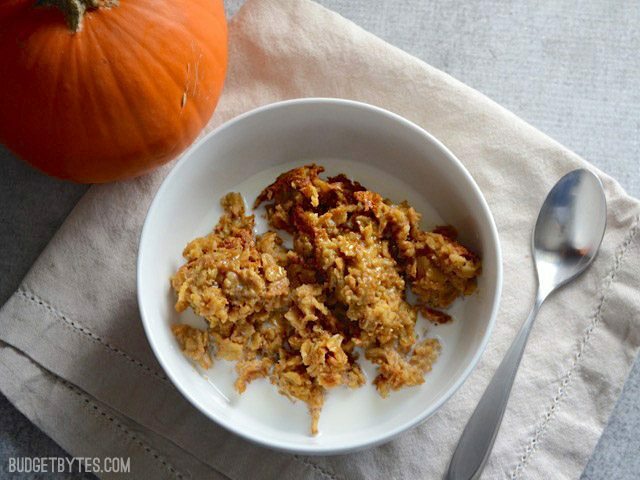 I replaced the brown sugar with maple syrup and added some chopped pecans and more cinnamon. . 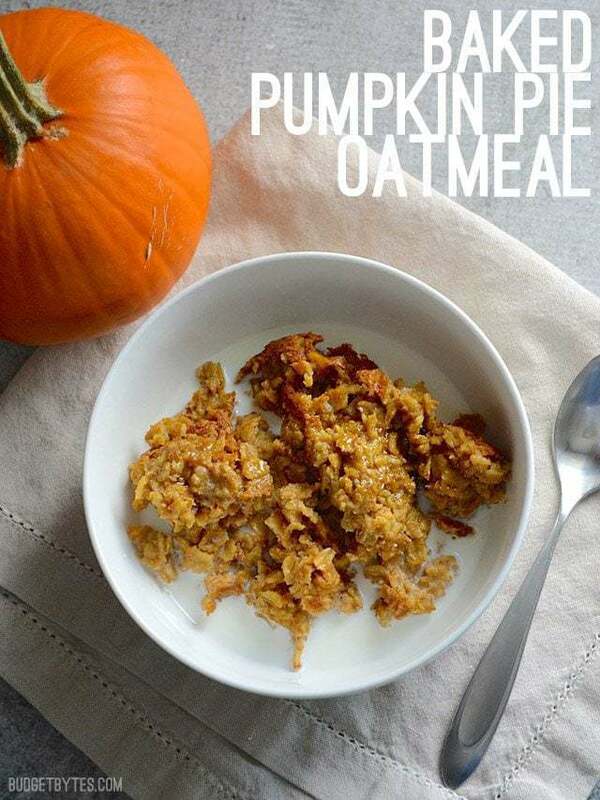 Turned out great and i am not a morning oatmeal eater because oatmeal makes me gag when it is prepared overnight or on the stove. Never could swallow it. Now I can eat healthy oatmeal and enjoy.